Sorry, there isn’t any magic mileage pill – BG Products, Inc. If you haven’t, you should watch the clip on www.bgfindashop.com® from WRGB-TV in Albany, New York. It shows how BG 44K® and the BG Fuel Induction System Service are “something that works” and can save as much as $6 a tank with $3 gasoline. The station’s investigative news team has been debunking outrageous fuel claims made with what Mike Belluomo, BG’s Product Technical Service Representative, calls “carnival tactics. 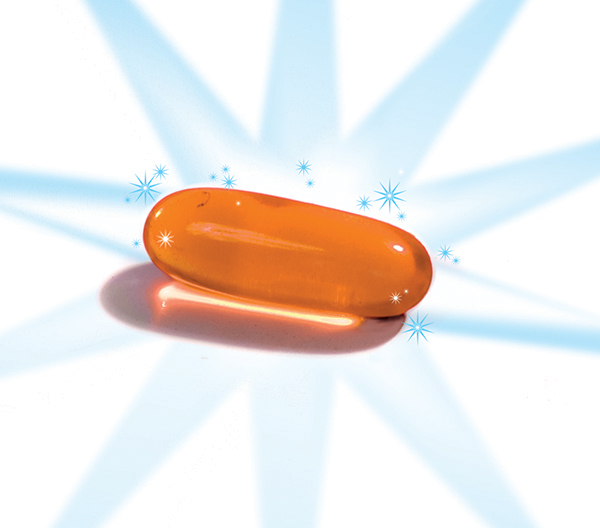 These worthless gimmicks such as magic fuel pills, magnets, and various elixirs with whiz-bang names are total baloney and aren’t worth the cost of their packaging,” he says. BG has many bench tests, fleet miles and control studies on all of its products. “Verification of performance is the most important part of our claims, and we can absolutely validate our product benefits,” he says. Keeping the system in “like new” condition is the key; helping the engine maintain its design excellence throughout its entire operating life. The WRGB clip illustrates BG’s answer to the problems which plague today’s vehicles. Deposits that accumulate on such places as throttle plates, plenum runners, EGR ports, intake valves and fuel injectors are the key. These areas are the primary source for power loss, rough idle and decreased fuel economy. “We’ve put a great deal of time and research into developing products and equipment that safely clean these critical parts of the engine,” says Mike. “Just like the smart bombs used today by our military, BG procedures and chemicals pinpoint the problem deposits and very accurately ‘target’ their removal. Although many other products on the market claim to produce these same results, the truth comes out when real life trials like the WRGB-TV report expose their failings,” Mike said. That’s why you see, time and time again, the same foolish gimmicks being re-marketed to a new crop of drivers. Mike continued, “If creating near perfect artificial diamonds could be as simple as running down to Wal-Mart and purchasing your own ‘Make Diamonds-in-the-Comfort-of-Your-Own-Home’ kit, then all wives would be wearing two carat rocks. However, common sense tells us that this is probably impossible.” Why then is it that many people buy into unfounded fuel products that claim to increase fuel mileage by such simple and non-technical means? “Most do probably because they forget the first rule of business…you don’t get something for nothing,” says Mike. “To do what we do so well at BG Products is no mere accident. We have over 35 years of manufacturing experience, and well over 200 years of combined chemical and design experience doing what we do each day,” said Belluomo. “Each and every product is uniquely and specifically created to accomplish its task. When used together in the right sequence and in the right way, our services bring out the best in each vehicle. In effect, we transform a vehicle from being a ‘diamond-inthe- rough,’ to a ‘pearl of great worth,’” added Belluomo. The WRGB-TV vehicle used one of our most popular service kits. The kit contained BG Air Intake System Cleaner, Part No. 206, BG Fuel Injection System Cleaner, Part No. 210, and BG 44K,® Part No. 208. As shown in the video clip, BG Air Intake System Cleaner was used to restore cleanliness to the plenum and air intake. This is a vital part of the overall 9.4% mileage improvement noted by the reporter. BG Air Intake System Cleaner not only contains vital “carbon-fighting” ingredients, it also has a unique dispersal mechanism that enhances its contact with fuel deposits. This combines to offer unequalled cleaning of the air induction system. Likewise, BG Fuel Injection System Cleaner pulls its own weight in the fight to improve engine performance. While many fuel injector cleaners lack the strength to dissolve tenacious fuel gums, BG Fuel Injection System Cleaner cuts through it like a hot knife through butter. Fuel deposits literally melt when exposed to the high pressure cleaning action of BG Fuel Injection System Cleaner pumping through the fuel rail. The result: Clean air intake…clean fuel injector…equals clean combustion. BG 44K® is well-documented in its performance capabilities. Not only has it been continuously improved over its history, recent independent tests have documented its ability to scrub corrosion from fuel sending units, remove choking substrate deposits from catalytic converters, and restore ignition efficiency. When it comes to fighting the war on lost fuel economy, you’ll not soon find anyone with more bullets in their gun to solve the problem than BG Products, Inc.
As a final note, a handy place on the Web to find tips on how to improve fuel savings is: http://cars.about.com/ od/helpforcarbuyers/tp/ag_top_fuelsave.htm. It offers such common-sense tips as keeping the tires’ air pressure at the recommended pressure, slow down, accelerate with care, and, oh yeah, don’t drive. But what would TV stations have to investigate?